We had an amazing Saturday with temperatures in the 50s. 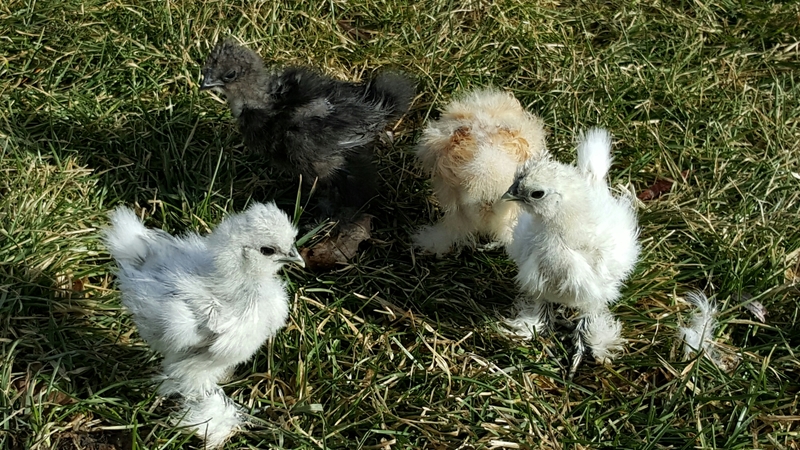 I let the 4 new silkies outside for some fresh air. They have been getting a little stinky inside so out to the barn they go. 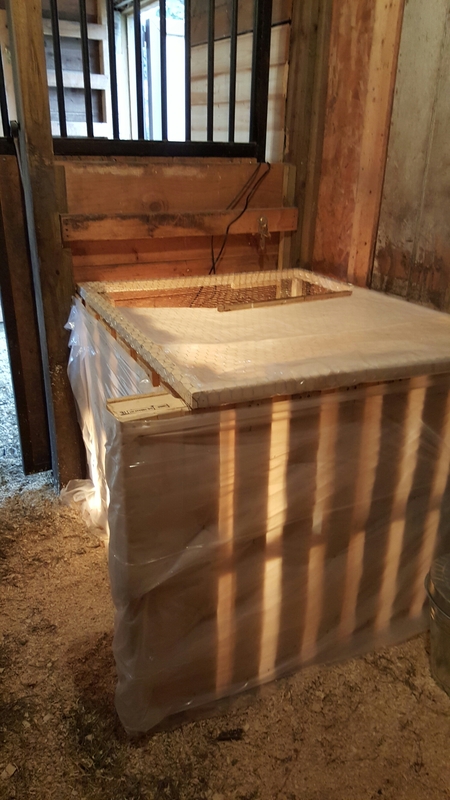 We built a mini brooder in the barn to keep them warm and away from the rest of the flock. 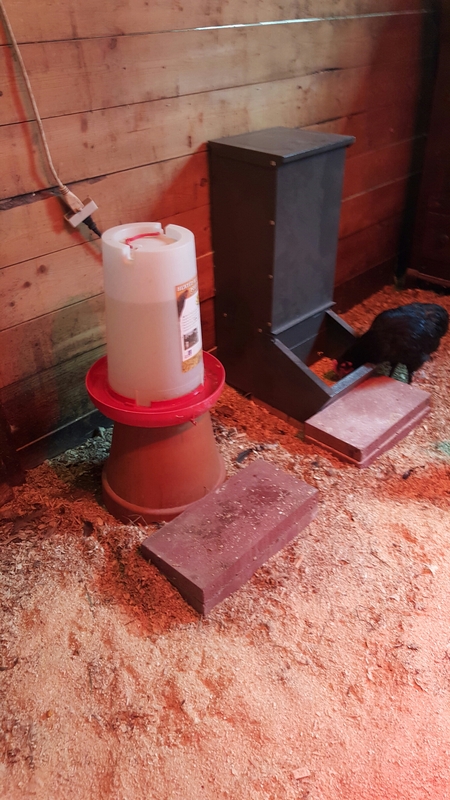 We also did some updating on all the feeders and waterers. We purchased a pig feeder which holds full bags of chicken feed. We also raised the waterers to keep the water clean. The old set up. I kept the old one so there are multiple feeding stations. All this tinkering is getting us ready for the new chicks which should be coming end of this week. While I was in the feed store to finalize the chick delivery details a mother with 3 kids walked in. She asked me what food to buy for chickens. I chuckled to myself considering I was that person just last fall. I asked what kind and how old. She said she didn’t know. 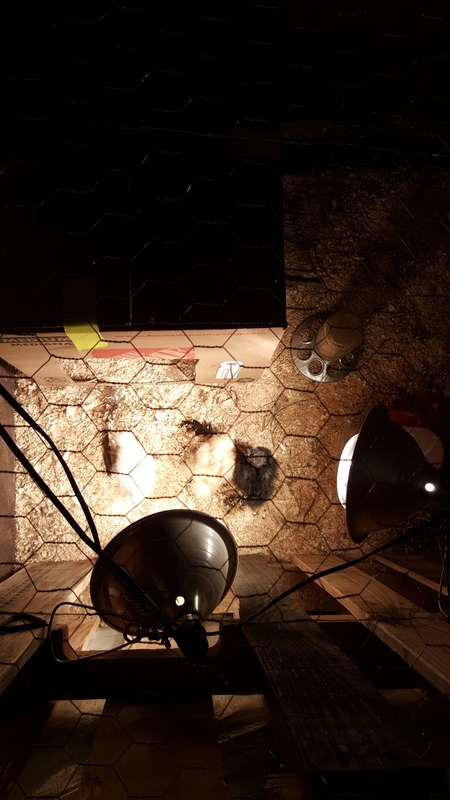 I discovered that the woman recently purchased a house with acres and she picked up 4 chickens from a no kill store in st. Paul. She had the chickens in the car so the store manager told her to bring them in. She walks in with a box no bigger than 20 x 20. I figured the chickens must be pretty small to fit into the box. Oh, was I wrong. They had shoved grown chickens in that box. 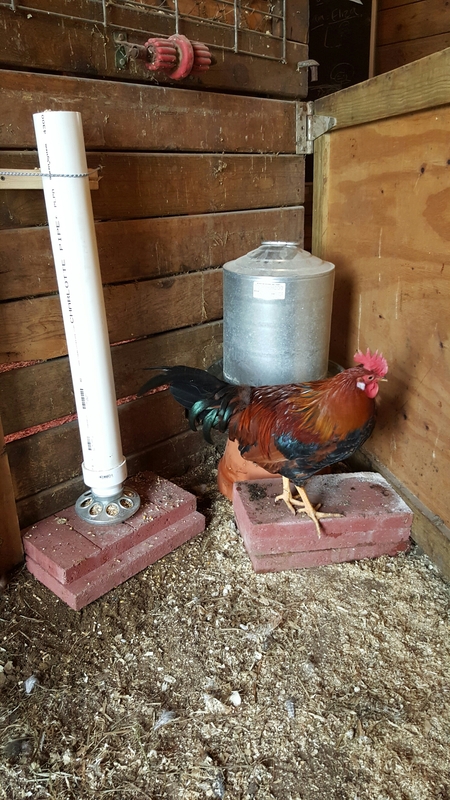 One rooster that was not counting his age by months rather years. This woman really didn’t know what she was doing but she was excited to start the journey. It was pretty entertaining.